An interesting research has been published in the issue of Science for Environment Policy on how Satellite technology helps monitor water quality in lakes. To read it please click here. In accordance with the Water Services Investment Programme 2010-2012 published by the Department of the Environment, Community and Local Government, Dublin City Council has prepared a Plan for the Water Supply Project – Dublin Region. The Plan is to develop a new water source for the Greater Dublin Region as part of the Water Services Investment Programme (2010-2012) to supplement existing water supply sources and to meet water supply requirements up to 2040 and beyond. In August 2011 the Commission for Energy Regulation, Ireland, published its Consultation Paper on the High Level Design of the Petroleum Safety Framework. To see it please click here. The public is invited to comment on the issues raised in this Paper by submission of written responses by close of business on Tuesday September 27th 2011. EU Commission has opened a new consultation on coastal and marine areas management. Transparent planning and management of European waters are needed to balance the interests at play against sustaining the long-term benefit of coastal and marine resources to society. With these objectives in mind, the European Commission has launched a public consultation to explore options for future EU action on Maritime Spatial Planning and Integrated Coastal Zone Management. The Commission is seeking the views of all interested individuals and organisations. The consultation runs for eight weeks. To see the consultation please click here. 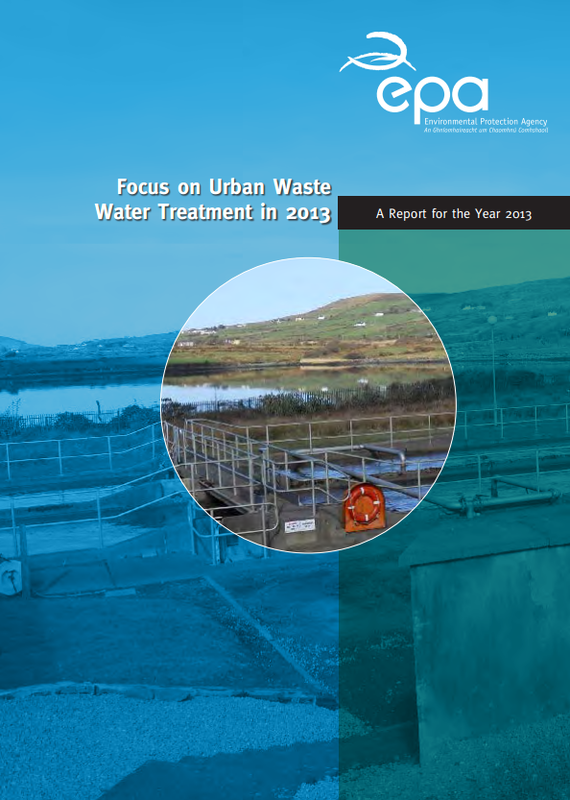 EPA Water Quality for 2007-2009 report has been just published. The data are presented against the new ecological status criteria of the Water Framework Directive (WFD) and previous EPA reports. Just 52% of all rivers in Ireland achieve good status and 48% are of moderate, poor or bad status. There are still 27 river sites classified as seriously polluted. Of 222 lakes in Ireland only 105 of them achieve good or high status. 92 lakes are still of moderate, 19 of poor and 6 of bad status. 121 coastal and transitional water bodies were assessed from 2007-09 for WFD status classification, using psychochemical elements and biological quality and of these 54% were classified of moderate or worse ecological status. To read the full EPA Water Quality for 2007-2009 report please click here. The Irish Wildlife Trust is delighted to announce the publication of ‘’Our Wetlands Heritage’’. The booklet explores our wetland’s wildlife, everything from dragonflies, butterflies, frogs and newts to wetland birds right up to our largest carnivore the otter. The booklet also explores the value of wetlands and the ecosystem services they provide, and examines the associated threats and what we can do to ensure wetland protection for the future. You can order a copy today by placing an order here. You can phone in using your credit card to 01-8602839 or send a cheque or postal order for €5.00 (+ P&P 95c) to Irish Wildlife Trust, Sigmund Business Centre, 93A Lagan Road, Dublin Industrial Estate, Glasnevin, Dublin 11. IWT would like to thank the Heritage Council for funding the printing of thisbooklet under the Heritage Education, Communications and Outreach Grants Scheme 2010. Science for Environment Policy article: The importance of boundaries in international river management. DG Environment News Alert Service, European Commission. A new study has compared the impacts of managing rivers according to two different boundaries in Europe and Africa: the physical boundary of the river itself and the socio-political boundaries of the nations and regions that surround it. To read the full article please click here. Ireland noncompliant with the EU legislation to draw up marine strategies to protect Ireland’s seas. Ireland has been asked by EU Commission to comply with EU legislation to draw up marine strategies to protect Ireland’s seas. Ireland has not informed the Commission about the transposition of the Marine Strategy Framework Directive, which should have been in place by 15 July 2010 and if it fails to do so the EU Commission may refer its case to the EU Court of Justice, which can lead to financial sanctions. Also delays in implementing the Directive lessen the chances of achieving good status of marine waters in Ireland and could have implications on Europe’s seas. The European Commission has produced a brochure on WFD objectives and implementation: Water is for life: How the Water Framework Directive helps safeguard Europe’s resources and a leaflet on the same topic. Following extensive consultations on Water Framework Directive River Basin Management Plans should since 22.12.2009 be available in all River Basin Districts across the EU. The deadline for publishing River Basin management Plans (22.12.2009) and the deadline for reporting these plans to the Commission (22.3.2010) have expired ! The Commission services are currently assessing the status of the reports received. To find out more about the River Basin Management Plans available in each River Basin District , as well as the status of consultations which are still ongoing in the different EU Member States please click here. To view Ireland’s River Basin Management Plans please click here.